Essential oils work quickly, they’re effective, and their aromas are heavenly. They’re also safe for the stomach and liver, meaning there are no harmful side effects. 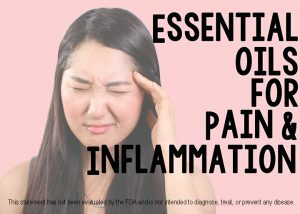 Now, Bio Source Naturals has brought the future of essential oils to the present with our custom Pain Away Spray essential oil blend for those who struggle with pain and inflammation. 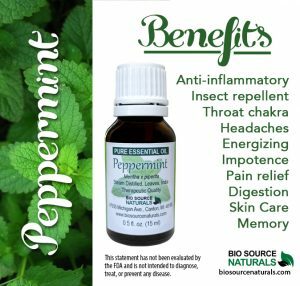 Our refreshingly minty blend, Pain Away, contains Wintergreen, Peppermint, and Helichrysum. 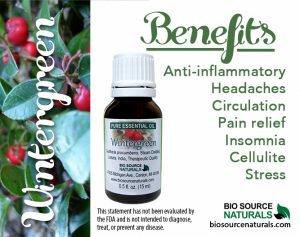 Wintergreen: Woody, cooling, and minty, wintergreen essential oil has been said to be nature’s aspirin. 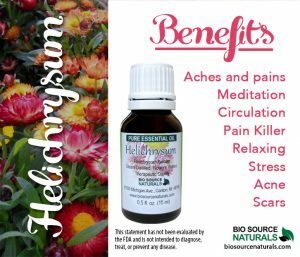 * It has cortisone effects that have been widely documented, and is very popular with those suffering from chronic pain, arthritis, carpal tunnel, and more. * It’s antispasmodic and antiseptic as well. * Use cautiously and never internally. 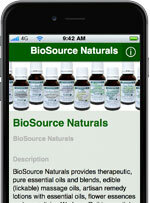 Bio Source Naturals Pain Away Spray! Another option is to use individual essential oils diluted in a carrier oil, or create your own personal blend. Individual oils you may want to try are Blue Chamomile, Eucalyptus, Lavender, Marjoram, Myrrh, and Tea Tree essential oils.